Prosecutors argued in a Pennsylvania court Tuesday that a judge should allow 13 of Bill Cosby’s accusers to testify at his upcoming trial for sexual assault of Andrea Constand. Prosecutors made the argument that Cosby used his fame to gain the trust of women before knocking them out with pills and drinks so that he could sexually assault them, the Washington Post reports. Montgomery County, Pa., District Attorney Kevin Steele told Judge Steven O'Neill that the accusers’ testimony will show a pattern and that Cosby has a lengthy history of drugging and molesting young women. “The defendant has engaged, over the course of decades, in a signature pattern of nonconsensual sexual assaults on young women who were in an unconscious state due to an intoxicant that the defendant administered to them,” Steele argued. Cosby, 79, is charged with sexually assaulting Constand in his home in 2004. His attorneys want the other accusers to be barred from taking the stand, and they are expected to attack the credibility of the women and the relevance of their testimony when they make their arguments Wednesday. O’Neill will decide whether to allow all or some of the women to testify. A state law allows prosecutors to call witnesses of alleged prior acts. 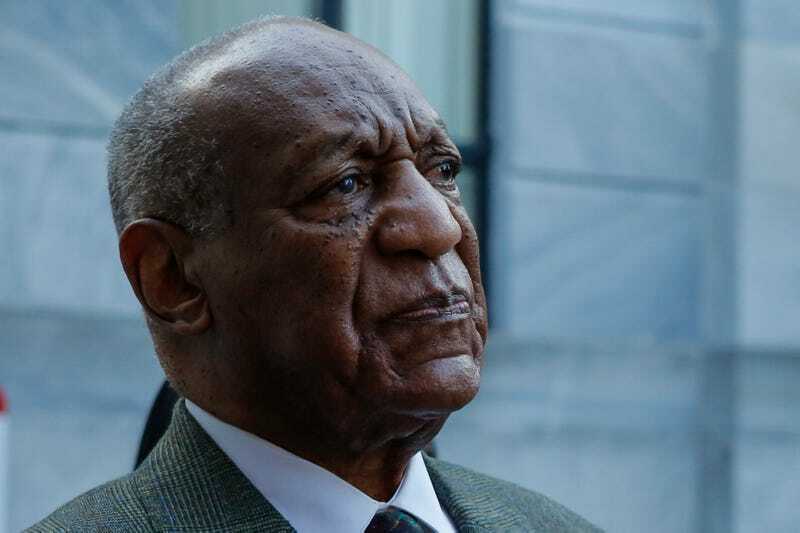 According to the Post, twice during the proceedings on Tuesday, the judge had to admonish attorneys on both sides to maintain decorum in the courtroom after arguments broke out over the defense’s practice of publicizing the names of Cosby’s accusers. Steele suggested that Cosby’s lawyers were doing so in an attempt to intimidate the women. Brian McMonagle, one of Cosby’s defense attorneys, said that many of the women had already gone public with their allegations. The judge ruled that Cosby’s attorneys could identify 11 of the women by name, since they had already gone public with their stories, but the two women who have chosen to stay out of the spotlight should not be identified in court. The case Cosby is facing now began over a decade ago when Constand filed a police complaint against Cosby, whom she considered to be a friend and a mentor, over an encounter in his home. A prosecutor at the time declined to file charges. The case was reopened last year after many women raised similar accusations at Cosby, and his damaging deposition testimony from Constand’s lawsuit became public. As previously reported on The Root, a judge last week ruled that Cosby’s civil deposition testimony could be used at his criminal trial. In the deposition, Cosby admits to giving drugs to Constand and touching her without consent. He also discusses his affairs with young women, and his habit of using Quaaludes as a seduction tool in those encounters.